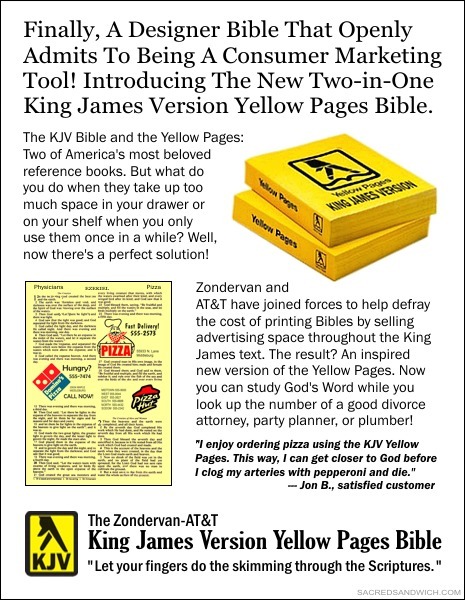 Before you comment telling us how ridiculous this is, be assured that there isn't any such thing as this KJV/Yellow Pages combo. But, knowing what's on the market these days, it wouldn't surprise me if this showed up soon. Hopefully you won't see it in Christian bookstores and other retail outlets any time soon. wow..... that's all I can say.